Minimum quantity for "BOLD Snowflake Earflap" is 1. 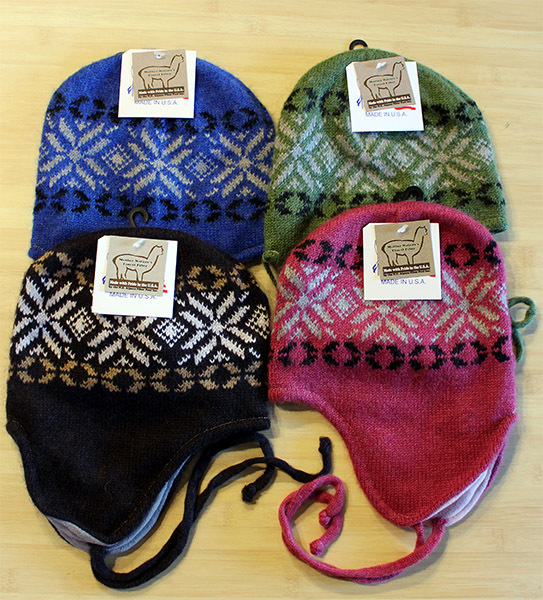 We've begun adding a splash of color to our updated Snowflake Earflap Beanies! New for 2016: This year we’ve updated our Snowflake Earflap Beanie hat design. The hat's outer shell is knit using our SURI blend alpaca yarn with added splashes of contrasting color to make the snowflake pattern. 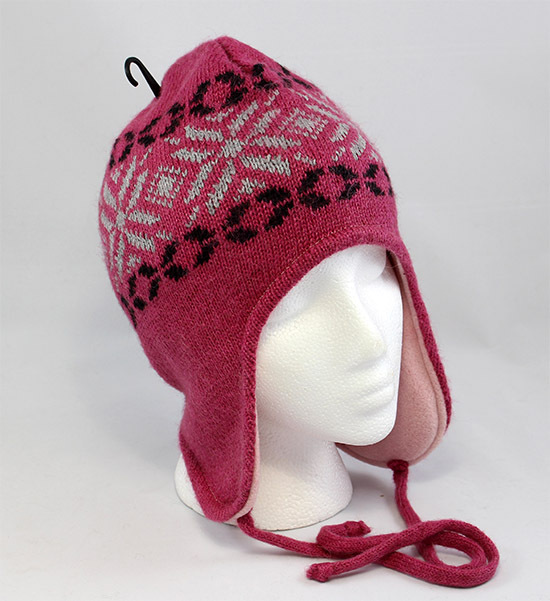 The Suri yarn base allows for the pattern to really pop off the hat. The inner lining, made from MicroFiber Polyester, traps warmth & blocks wind, keeping you comfortable in the harshest conditions. Made in a "One Size Fits Most"